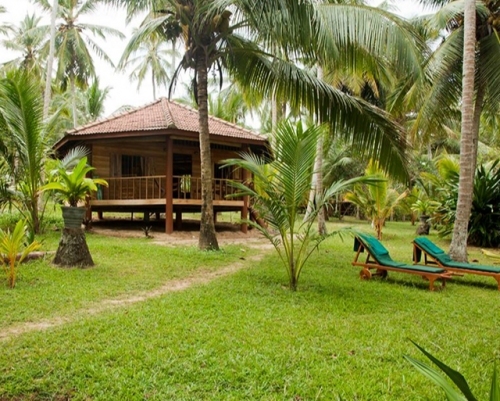 Great value and high quality Sri Lankan guesthouses for your Sri Lankan holiday. 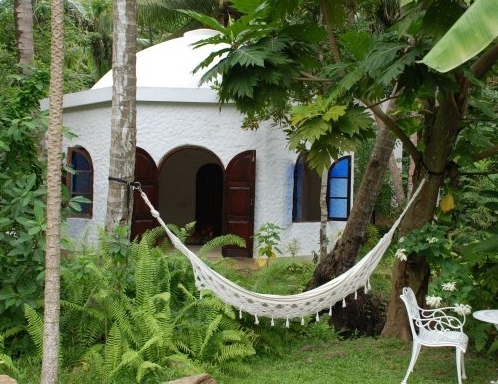 Located in village, river or beach environments and decorated with character. Most guesthouses are family run with friendly service albeit a lower staff to guest ratio. Many have a separate restaurant open to non-residents ensuring exciting local menus and daily fresh food. Characterful architecture, smaller in size and sometimes compromised by their lack of a swimming pool. Our specialists have reviewed and selected the best beach guesthouses and these can often balance some luxury boutique selections to meet your budget. Simple, naturalistic stilt cabins looking sea-ward on a private beach. Flavourfull food with Sri Lankan bias but flexible to differing tastes. The best beaches and sunsets on Sri Lanka and excellent diving nearby. As charming as the name, with particular interest for the yoga enthusiast. 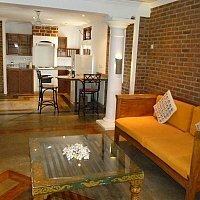 Buzzing location beyond the encircling walls, group/family friendly rooms; delicious dinners often with live music. Surfing hot spot on the idyllic deserted beaches of Sri Lanka's south-east coast, location of British Surfing Championships in 2004. 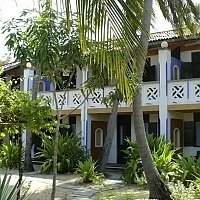 Variety of accommodation from budget to luxury, where Danish design meets traditional Sri Lankan character. A beach resort, spectacularly cut into a rock face and utilizing natural rock formations as "furniture". Regime tuned to health of mind and body with diet, spa, ayurveda, reiki, yoga and meditation to rejuvenate you.